A child with income may need to file taxes. 3. Do I Have to Pay Taxes on My Minor Child's Alaska Permanent Fund Dividends? 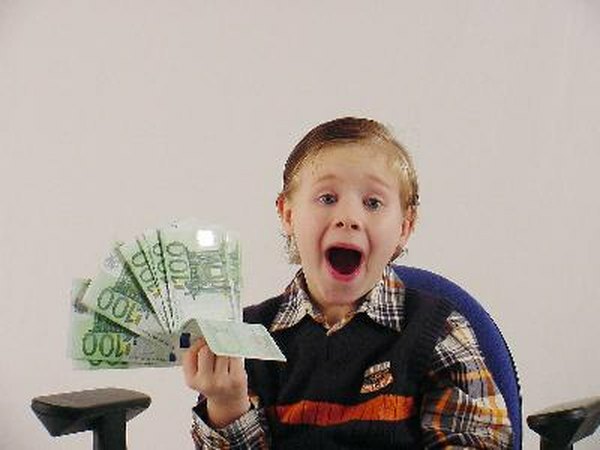 Savings accounts, savings bonds, gifts of stocks and birthday money your child invested in bonds can all yield unearned income for your child. As a parent, you have a couple of options for reporting this income to taxing authorities, depending on how much income your child has and where that income is from. This applies whether your child is an infant who can’t yet sign his name or is a 19-year-old, or even a 24-year-old, if he’s still in school. Don’t file a tax return if your child has only unearned income and that income is less than $950. Report your child’s unearned income on Schedule B of your tax return if your child has only unearned income in the form of interest and dividends and that income is more than $950 but less than $9,500. Attach Form 8814, Parents’ Election to Report Childs’ Interest and Dividends. You’ll pay the tax on your child’s income as part of your own. File a separate return for a child if his unearned income includes capital gains, or if his unearned income was more than $9,500. If your child has both earned and unearned income and the unearned portion of that income is more than $300 and the total income is more than $950, your child should file a tax return. Attach Form 8615, Tax For Certain Children Who Have Investment Income of More Than $1,900 to the child's tax return if your child’s unearned income was more than $1,900. To prevent parents from transferring investments to their children solely to avoid paying higher taxes, the IRS taxes children’s investment income over $1,900 at the parent’s highest tax rate. You figure this tax, known as the "kiddie tax," using Form 8615. If your child is unable to sign her name, due to age or disability, a parent may sign his own name, followed by the words "parent or guardian of minor child."